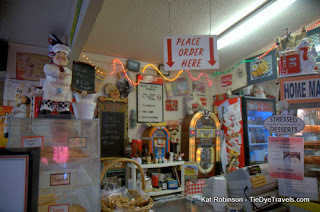 Fried pies, icebox pies, baked pies, meringue pies, even pies you could never conjure in your mind. 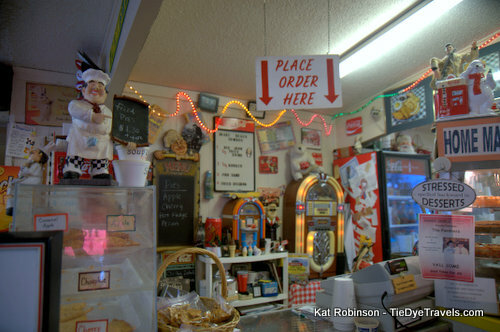 Big John's Shake Shack offers a plethora of pies in all shapes, sizes and styles in Marion, Arkansas. 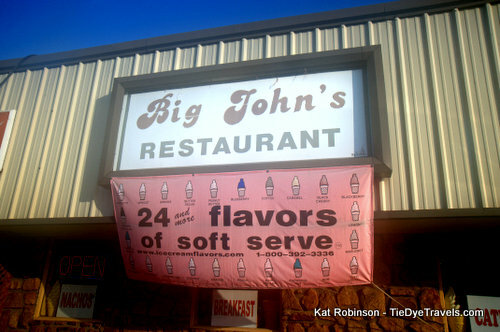 Ah, Big John's. I can't take Grav to Marion without a stop-in, and I can't go in without getting a big hug or two from Loretta and the boys. It's one of those places. I don't mind those kinds of places. 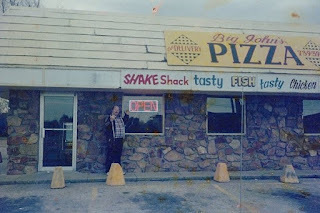 Freeze became Big John's Pizza, and then it became the Shake Shack (John’s sister Sherry had a Shake Shack in Tyronza). 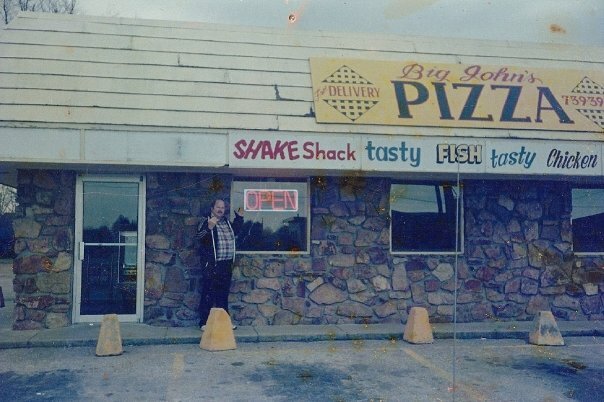 Eventually it came to be known as Big John’s Shake Shack because John got, well, big in Marion. 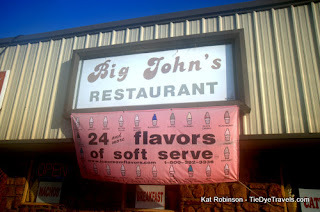 It's really no wonder: John had a one-half pound burger he came up with called the Big John, and it’s on the menu right next to country ham sandwiches, catfish, chicken, barbecue and milkshakes. Frankly, Big John’s Shake Shack served just about everything. 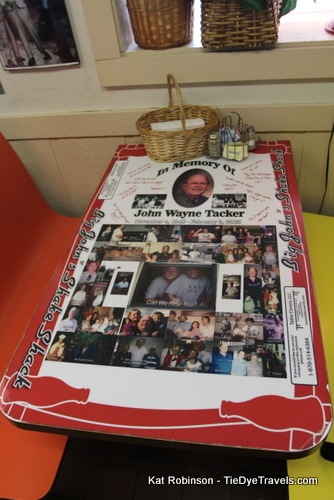 John died in 2005, but Loretta Tacker keeps it going. 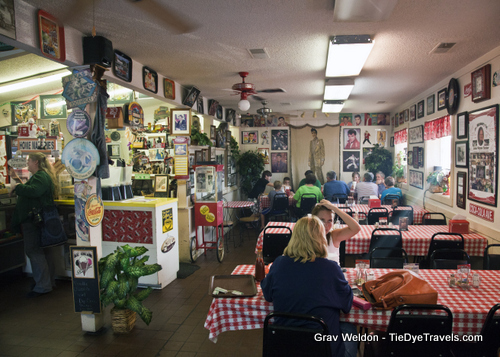 She works alongside her children and even one of her grandsons in this three-generation eatery. 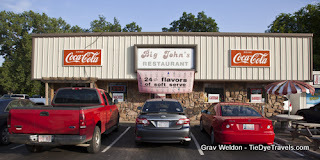 Because the restaurant opened the year Elvis Presley died, he never ate at Big John’s Shake Shack. But he’s well represented with all sorts of memorabilia. Who knows about the place? 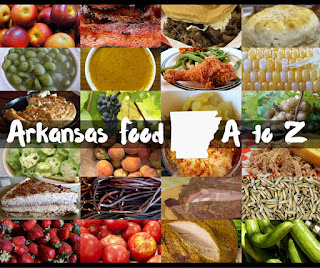 Well, famed actor Gene Hackman, for one; former Arkansas governor Mike Huckabee, for two. But it’s the regular customers like the kids from the local elementary school down the street that are truly prized customers. truly legendary trip - a 60 hour, 22 restaurant roadtrip to photograph the best pies we could find in the heart of the Arkansas Delta. We'd started at noon in Little Rock and hit Carlisle, Hazen, DeValls Bluff, Barton, Helena-West Helena, some little crossing south of Marianna and then West Memphis before we landed about 7:30 that night in Marion. We had made miles, eaten bites of 12 other pies already and were just hoping for something that wouldn't make us cringe. There's nothing that would make anyone cringe at Big John's... except the size of the menu. Because it was Friday, there was hot catfish on deck, and the place was packed out. I grabbed a seat in a booth and Grav went up to order, and then I went to order while he sat. We waited, only because we wanted our pies warm the moment we were told that was an option. 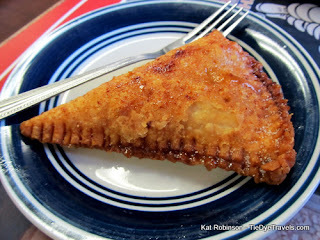 I'd pretty much came in and ordered the caramel apple fried pie because it was recommended, but Grav had looked all over because there were so many varieties to choose from - fried pies in a case by the register with peach, cherry, chocolate, apple and caramel apple in wedges; whole pies in standing cases; and icebox pies in the freezers. 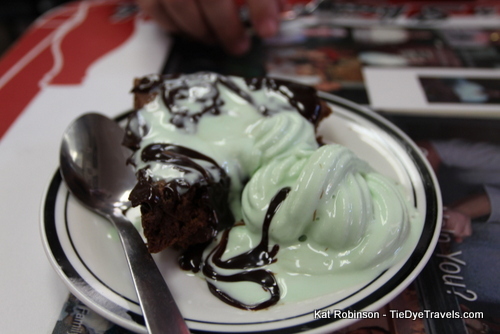 The hot fudge pie he ordered wasn't even in a case to look at, he just saw mention of it on the wall and went for it. 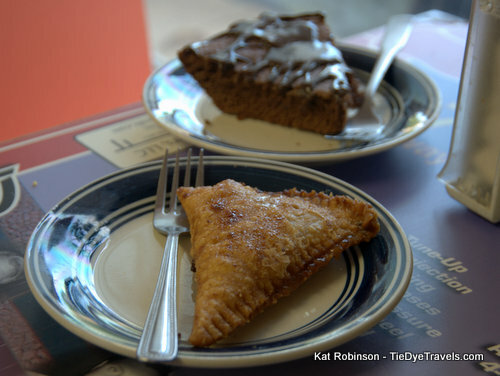 So these pies came out, and they were hot and bubbly and... well, the hot fudge pie was really more brownie than pie, and I started to argue with Grav about this. We'd already been fussing over whether Mississippi mud pies and Whoopie pies would be included in the book (they were both ruled out) and here was this... chocolate thing. He stopped me and told me he was missing something. While he went up to the counter, I took photos. I shot my pie. I shot his pie. I shot them together. I shot them separately. 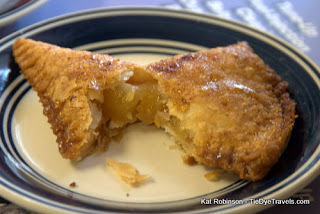 I even pulled apart the hot caramel apple fried pie and shot it. I wasn't willing to wait any longer. But he came back. 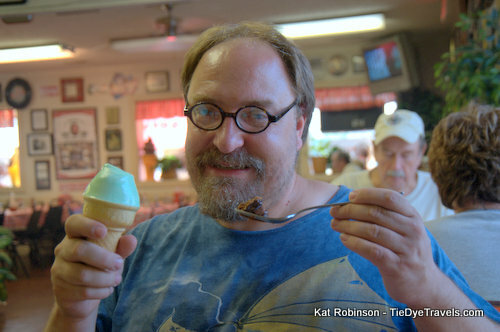 And in his hand he held what he thought was the perfect accoutrement - pistachio flavored soft serve ice cream. I KID YOU NOT. I had to laugh. It was ludicrous - all these places we'd gone to where we'd go in, sit down, order the pie, ask for a box and a check when each pie arrived, photographed the pie (both of us each time), tried a bite, tried a second if we thought the pie garnered it, boxed the pie(s) and paid and went on to the next place. I was sugared out and I knew he was at his wits end (and hurting to boot; Grav was just about four months past a rather devastating car crash at that point and was still mending) and here he comes up with a way to get even MORE sugar. But you know something? He was right. That pistachio ice cream went perfectly with that hot fudge pie, and I kinda thought as I ate my own pie how much better it'd be with some vanilla. I mean, I loved that caramel apple pie, enough that I have ordered it again many time since. Some vanilla ice cream really would have sent it over the top. We'd have eaten dinner there that night if it wasn't for my insane idea that we could manage one more restaurant in Blytheville before the night was over. Instead, we ended up at the Grecian Steakhouse avoiding the desserts and the breads and loading up on salads and wishing the Dixie Pig was open later in the evening... but that's neither here nor there. I called a few days later and talked with Loretta on the phone... she didn't know me from Adam, that night in August 2012, but she was friendly and she shared details. 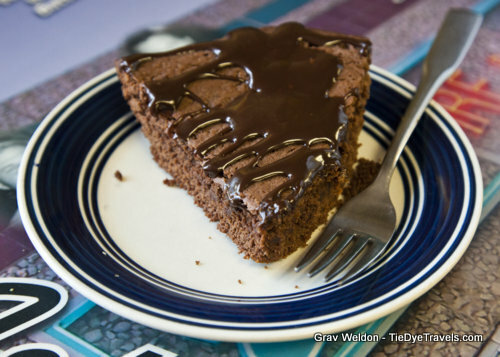 Turns out the hot fudge pie recipe came from her friend Jeannie Oher and was an instant hit in the 1980s. 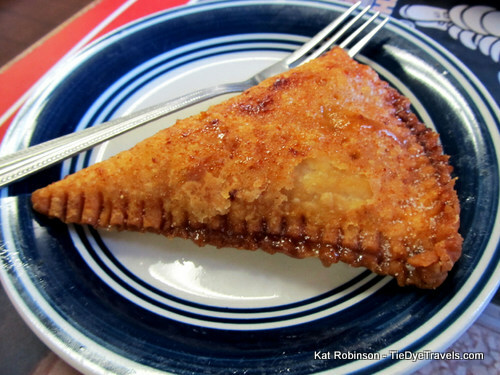 Loretta told me it was her friend Butch that convinced her to do fried pies back in the 1990s. 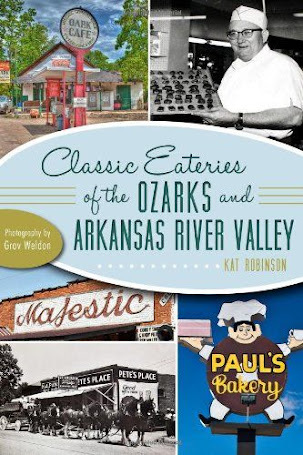 She shared that she makes pecan pies from the pecans dropped by the trees in her own yard, and that she'd been making lattice-topped pies since her grandmother showed her how when she was a kid. 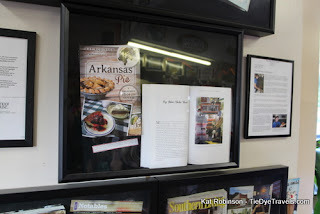 I ended up putting that hot fudge pie in the pie book, and talking about that hot caramel apple fried pie, too. 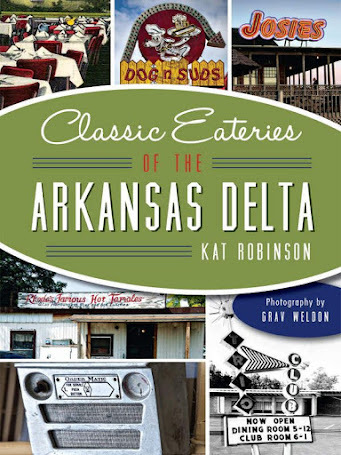 And when we darkened the door a while later while researching Classic Eateries of the Arkansas Delta (which, since we'd done the research already, we didn't HAVE to go back, but Grav insisted. Repeatedly. ), we had a surprise. There was our first literary effort on the wall in a shadowbox in a place of honor right by the front door. And there was Loretta, with the first of her unforgettable hugs, recognizing us on the spot. 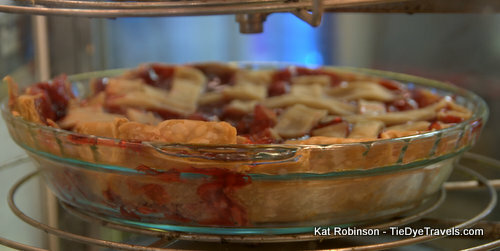 Of course there was more pie - including Grav's combination he'd discovered before and enjoyed on a single plate. But what drew me was something I hadn't spotted that first time around. 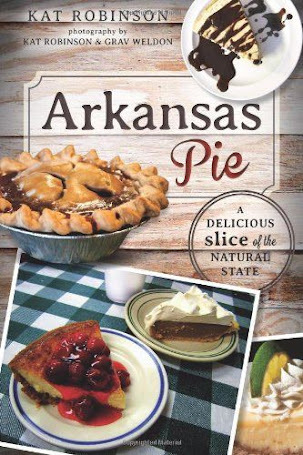 Because, frankly, I've had about every sort of pie you can imagine in Arkansas, and I thought I'd had a version of every pie Loretta had written on the blackboards and whiteboards all around the register. But I was wrong. 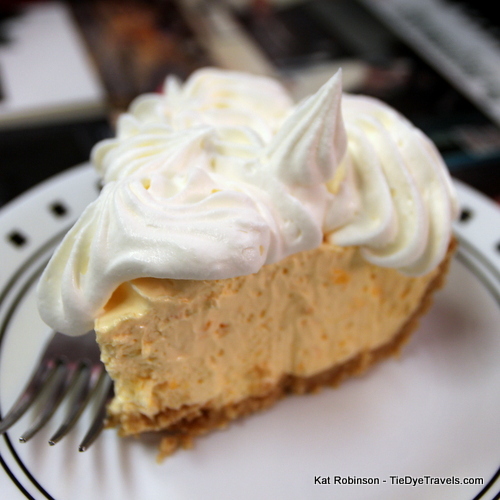 And I shared that piece of Tang pie with Hunter and thought my, my, my... what an incredibly interesting life we lead. 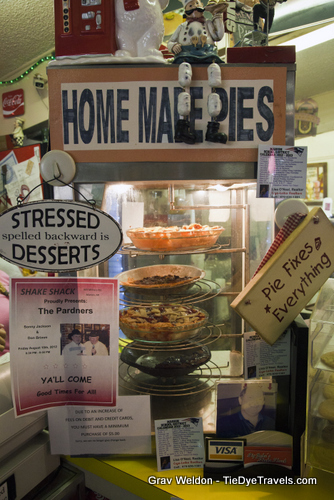 there are burgers and always, always there is pie. 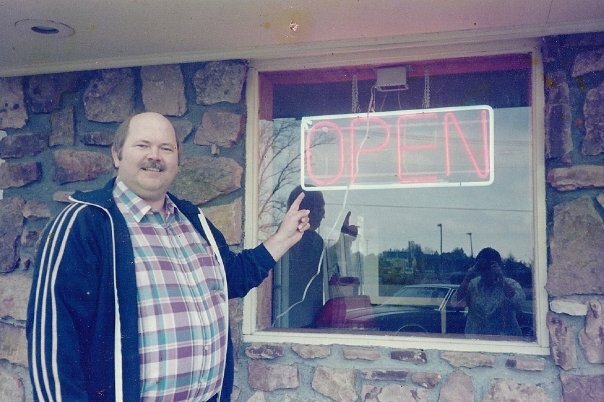 The restaurant's name has changed in the years since I wrote the pie book. It's now officially Tacker's Shake Shack, and Loretta's boys run the place. Whatever the name, it's always worth a visit. 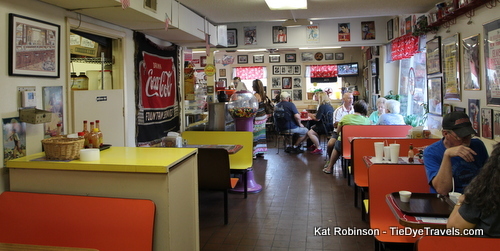 You'll find it off Exit 3 on Interstate 55. 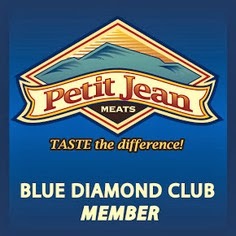 It's open 7:30 a.m. to 9 p.m. Monday through Friday and 11 a.m. to 9 p.m. on Saturday. 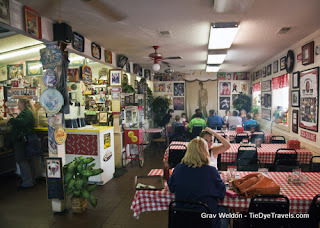 Check out the restaurant's Facebook page and take a gander at all those crazy burgers.